The Borderstan Blueprint is a smattering of interesting events around the area to help you plan for the upcoming week. If you’d like to see your event featured, drop us a line at [email protected]. A multi-part installation featuring various works by Cervino made over the past 15 years displayed in a single, 25-foot sculpture. The exhibition is free. Parents and students from all grades are welcome at the event. A PTO-funded cookout will immediately follow. Garrison spirit T-shirts will also be for sale. Old-school salsa and punk rock intensity meld during performances by a band from Puerto Rico. Tickets available online. D.C.’s queer music festival celebrates its ninth year with a new home in 9:30 Club. Several bands will play followed by a dance party. Tickets available online. This year’s festival theme, ‘I Cannot Live Without Books,’ celebrates the 200th anniversary of Thomas Jefferson donating his own books to rebuild the Library of Congress. The event is free. A group of New York City storytellers relive their most embarrassing sexual experiences onstage. This event is 21 and over. Tickets available online. Photo via Facebook / National Book Festival. A D.C. Police Commander is calling for unity among his fellow officers following a police union survey that resulted in a vote of no confidence for Chief Cathy Lanier. Less than a third of the police union’s members responded to the survey. “We’ve been forced into a corner of lackluster, feckless, inefficient enforcement and been required to stand by and watch while the leaders of the department doubled-down on their stop-gap, gimmicky tactics,” the union wrote in a press release regarding the survey. In an e-mail sent to the Metropolitan Police Department’s Third District listserv this afternoon, Commander Jacob Kishter said he was proud of his district’s progress over the year. “Chief Cathy L. Lanier promoted me to district commander over six years ago and has entrusted me to provide my officers and the community that we serve with the leadership, resources, and direction to effectively do our jobs,” continued Kishter. “Each district commander has the autonomy to deploy his or her own resources and strategies. Kishter then praised the department’s anti-crime tactics. Kishter also addressed the union survey head-on. “Many of you may be aware that the Fraternal Order of Police (FOP) held a vote of ‘No Confidence’ over this past weekend for the Chief of Police, which in reality includes all of the management, the FOP itself, and the entire Metropolitan Police Department as a whole,” he said. “It’s time to stop creating a divide and start uniting to make this city safer. Without a doubt, we have the best police department in the country and the best leadership operating it,” Kishter concluded. 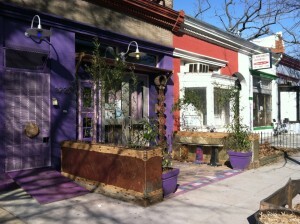 More than two dozen D.C. residents have offered support and donations following a break-in that left Columbia Heights art nonprofit BloomBars with a broken window and missing hundreds of dollars earlier this month. BloomBars founder John Chambers launched a GoFundMe campaign last Thursday to help recoup some of his organization’s losses. So far, residents have raised more than $1,220. Chambers added that 26 people have contributed to the fundraiser since it started. Sweet Honey in the Rock co-founder Dr. Ysaye M. Barnwell is among the people who have donated so far. “I want to frame that quote,” said Chambers. Chambers hopes to use the raised money to replace the broken window and donation boxes and invest in a new security system. 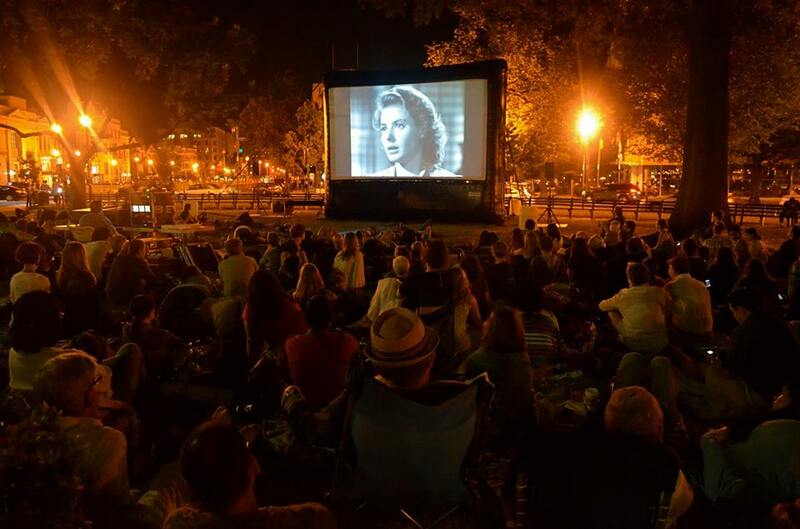 An upcoming screening of “A League of Their Own” scheduled by Dupont Festival for next Thursday may produce the biggest turnout the film series has ever seen. More than 5,500 people have RSVPed on Facebook for the screening in Dupont Circle at 8:30 p.m. The showing was originally slated for June but had to be rescheduled because of rain. Luckily for the upcoming screening, rain isn’t yet in the long-term forecast. DeNu encourages attendees to bring baseball mitts and play catch before the film starts. D.C. Police are seeking two men filmed in connection with a carjacking that occurred in Adams Morgan earlier this month. Police say two men approached a car near the 1700 block of Columbia Road on Aug. 22 around 5:43 a.m. The two men punched the driver of the car several times then stole the vehicle, say police. In a video released by police today, two men can be seen shopping at a convenience store. One of the men can be seen wearing a purple hoodie, a white shirt and navy blue pants. The other can be seen wearing a black shirt, jeans and a backpack in the video. The Department currently offers a reward of up to $10,000 to anyone who provides information that leads to the arrest and conviction of the person or persons responsible for a violent offense, including armed robbery, committed in the District of Columbia. Your assistance is appreciated by your community. Two 15-year-old boys were arrested after allegedly robbing a man at gunpoint near the Cardozo Education Campus late last night, say D.C. Police. Police say a man was walking near the intersection of 13th and Clifton streets NW around 11:46 p.m. when he was approached by the two teens. One of the teens flashed a handgun and demanded the man’s property. Police say the man refused, ran away and called 911. Officers stopped and arrested the two teens “within minutes” and recovered a BB gun. (Updated at 12:33 p.m.) A man was shot in the head along a busy part of 18th Street NW early this morning, say D.C. Police. Third District Commander Jacob Kishter said by e-mail today the victim of the shooting was taken to the hospital in critical condition. 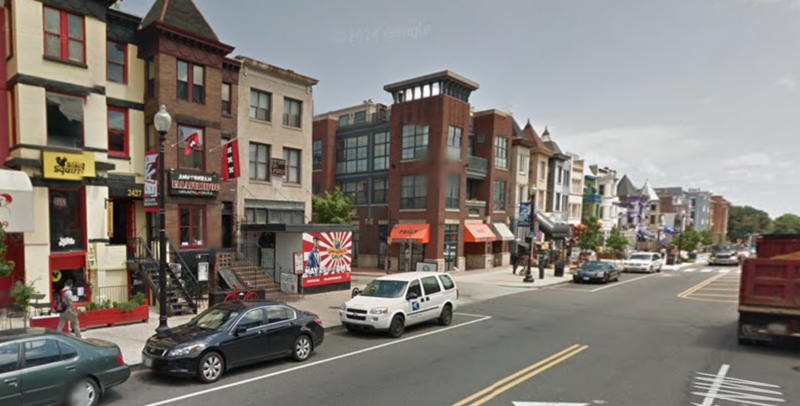 Kishter added this afternoon that the shooting occurred in front of the Amsterdam Falafelshop (2425 18th St. NW) at approximately 2:47 a.m. this morning. Madam’s Organ owner Bill Duggan said his son heard a single gunshot while bartending on the roof of his business at 2461 18th St. NW. “We complained earlier to the police that they were all just standing in the street and not patrolling the sidewalk or the area in general,” Duggan added. Several people took to Twitter this morning to discuss the shooting. Somebody got shot in the head in Adams Morgan tonight!! 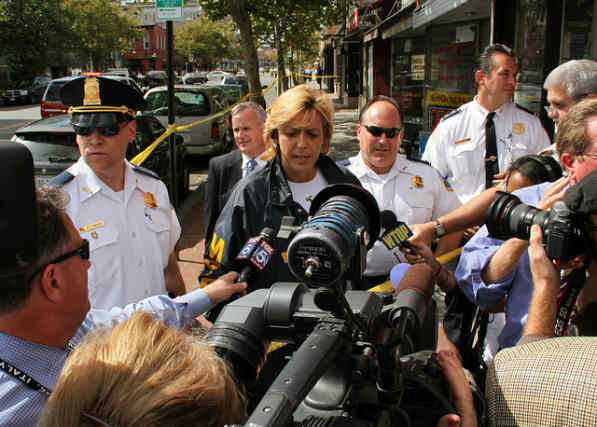 Well if you hear about a guy shot in cold blood in Adams Morgan I was witness…. 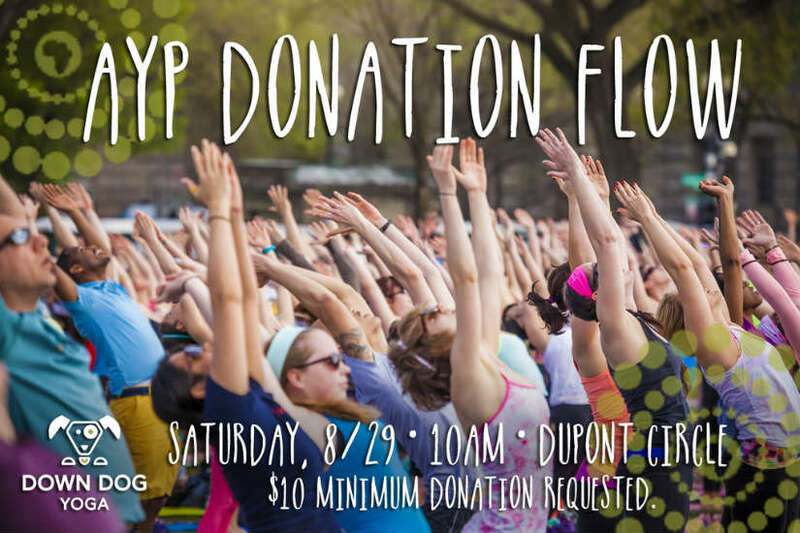 Down Dog Yoga, a local chain of yoga studios, held a class in the Dupont Circle park to raise money for the Africa Yoga Project. 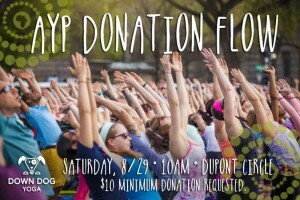 Participants in the 10 a.m. class were asked to donate $10 or more to the Africa Yoga Project online or at the event. The Africa Yoga Project teaches yoga to children in East Africa. Representatives for Down Dog Yoga could not be immediately reached for comment, but a tweet about the event promised a “fun and sweaty” time. 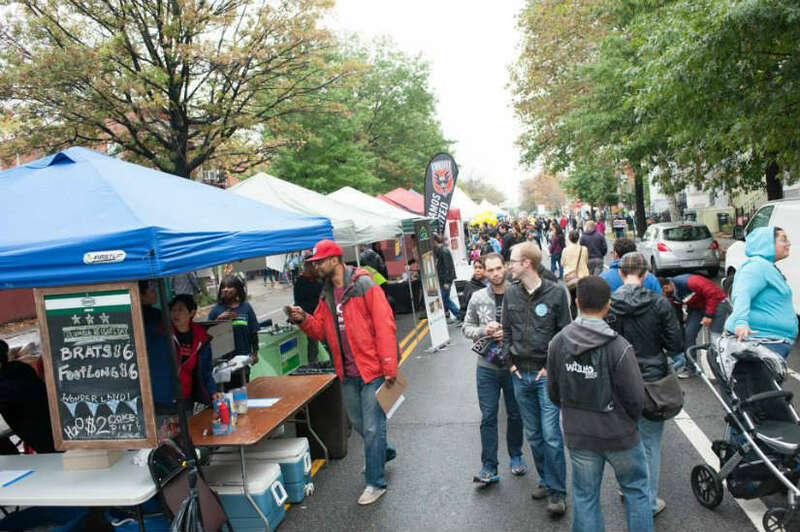 The Columbia Heights Initiative plans to make its 10th Columbia Heights Day festival the biggest street celebration yet. The festival will take place on 11th Street NW between Park Road and Kenyon Street from noon to 6 p.m. on September 12. Organizers at Columbia Heights Initiative, a local business group that plans and hosts events around the neighborhood, are planning for nearly 12,000 people throughout the course of the festival. In addition to the usual food and music, this year’s festival will feature a beer garden sponsored by Meridian Pint, a carnival area for kids and an adult-sized obstacle course. “This year is our 10 year anniversary, which is awesome, so we’re really trying to blow it out,” said Brianne Dornbush, a community representative for Columbia Heights Initiative. For the first time this year, vendors at the fair will be divided into four themed areas: health and wellness, community organizations, art and transportation. A carnival for kids will also be set up on the field of Harriet Tubman Elementary School, which will include games and bounce houses. But adults won’t be left out of the inflatable fun. Columbia Heights Initiative plans to set up an inflatable obstacle course for adults along 11th Street. Teams can also sign up to compete in a Zorb soccer tournament, in which the top half of players bodies are inside giant, clear inflatable balls. The tournament will also be held at Harriet Tubman Elementary, and teams can register online. The Columbia Heights Initiative is also planning other future events at the Harriet Tubman field, including Friday night movie screenings throughout the Fall and a Halloween party. The first movie screening will be Ghostbusters on Sept. 4. 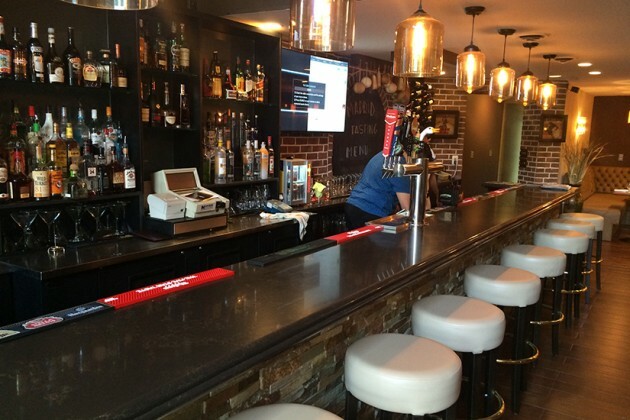 (Updated at 10:50 a.m. on Aug. 31) D.C.’s Alcoholic Beverage Control (ABC) Board announced on Monday it had voted 6-0 to adopt proposed rules that would lift the liquor license moratorium in West Dupont for all businesses except nightclubs. The rules heavily modify the current moratorium and extend it for a period of three years. Though the original moratorium was due to expire on May 17, the board voted on May 13 to extend it for a period of 120 days, during which it would take testimony from members of the community. West Dupont residents gathered to discuss lifting the moratorium during a public hearing on July 22. ANC 2B Commissioner Daniel Warwick, 2B-02, called on the board during the hearing to lift the moratorium on new restaurant, bar and tavern licenses, but extend it for nightclubs. He argued on behalf of his commission that lifting the moratorium on nightclub licenses could be disruptive to the peace, order and quiet of the neighborhood. Warwick also noted that the only way for new businesses to enter the neighborhood is to purchase existing licenses, which are not always available. Warwick added that his ANC was concerned that the moratorium created a secondary market for liquor licenses that would discourage art galleries, distilleries, breweries, wineries and multi-purpose facilities from opening. Former ANC 2B Commissioner Karyn Siobhan Robinson testified that the moratorium, including the ban on nightclubs, should be lifted entirely. Though Robinson acknowledged that nightclubs could sometimes disturb the peace, she argued that market forces prevented such businesses from flourishing in the area. Furthermore, Robinson said that maintaining the moratorium artificially inflates rent and prices for retailers. But some residents who testified at the July 22 hearing said they did not support lifting the moratorium wholesale. One resident said that several local businesses pose problems relating to noise and litter, and that lifting the ban on new nightclubs and taverns would only make the problem worse. Another resident, whose balcony overlooks an alleyway, testified that he has witnessed patrons of a West Dupont business using drugs, urinating and “fornicating.” That resident agreed that lifting the ban on new tavern licenses would only increase that kind of behavior. 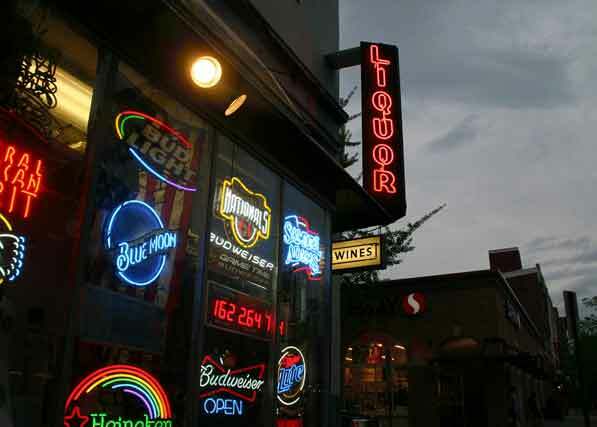 Though the ABC Board wrote it was “sympathetic to [residents’] concerns about the social ills that accompany a vibrant nightlife,” the board added that neighbors should discuss any problems with taverns with their ANC and utilize the ABRA hotline and online complaint submission form. 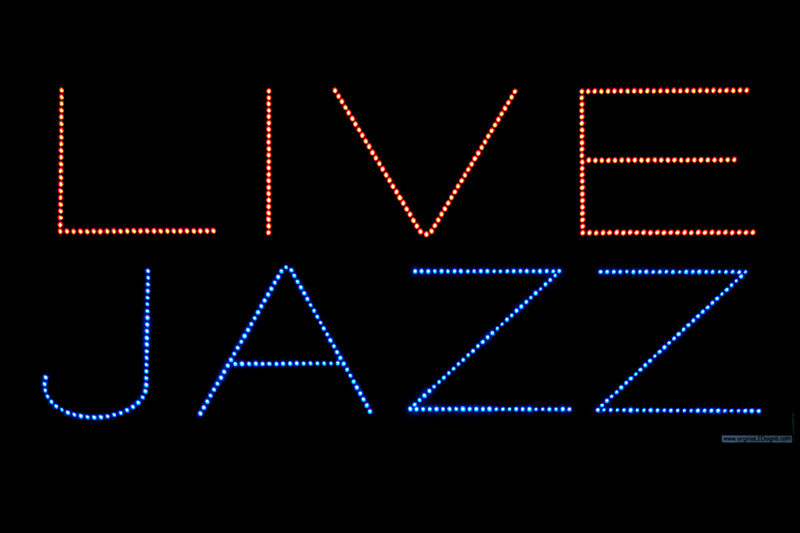 The Board appreciates the balance that must be struck between the interests of the residents in the neighborhood, and the interests that promote a nightlife economy. The Board recognizes that a diverse, dynamic and safe dining and entertainment environment is part of the fabric of the District, and yet, nightlife activity needs to be carefully managed in order to reduce antisocial behavior, noise, public disturbance and other problems. The Board applauds the ANC’s efforts to solicit the community members’ perspectives on positive steps to transform the West Dupont’s neighborhood and improve urban vibrancy. Like the ANC, the Board believes that if managed properly, a thriving and safe nightlife can act as an economic engine by attracting new businesses and restaurants, diversifying the range of cultural offerings, creating employment opportunities, and increasing tourism. To this end, the Board is in agreement with the ANC that a new direction for the West Dupont moratorium that allows for responsible growth is warranted. 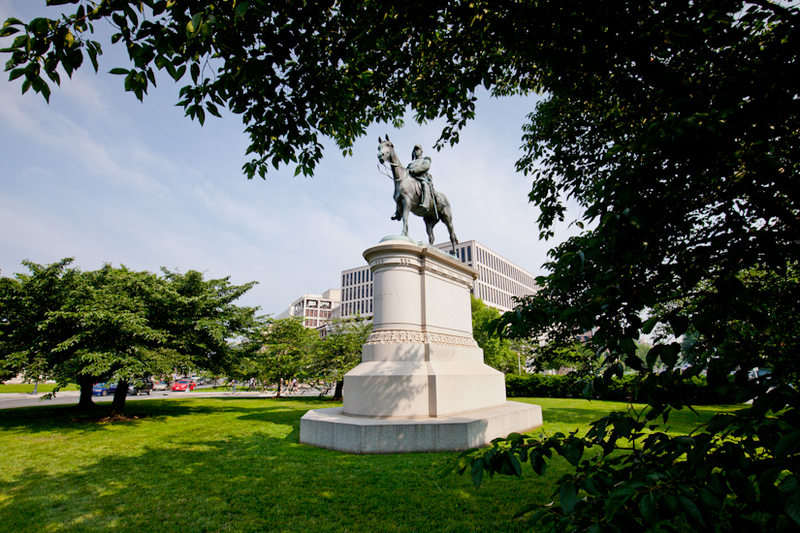 Though the rules are effective immediately, they are still subject to a 30-day public comment window and must also receive final approval by the D.C. Council. 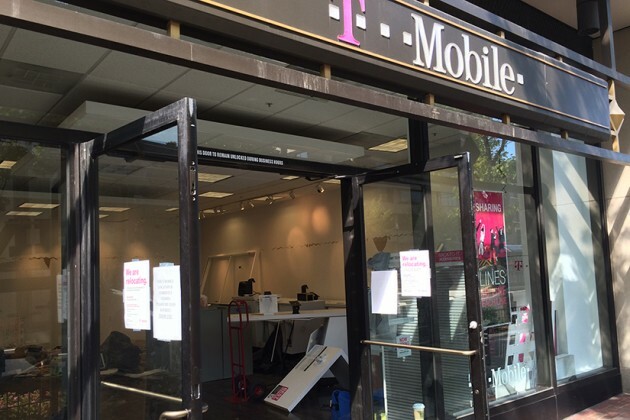 Cell phone provider T-Mobile is trading one Connecticut Ave. NW storefront for another. 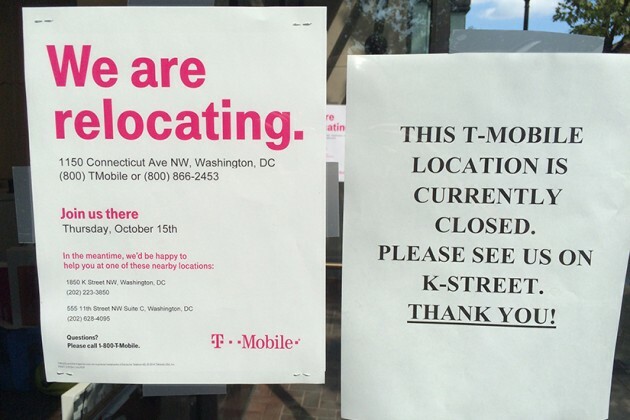 Moving crews could be seen earlier today removing boxes and retail fixtures from the T-Mobile store at 1330 Connecticut Ave. NW, and a sign on the door says the location is relocating to a space inside the office building at 1150 Connecticut Avenue NW. The newly relocated store will open on Oct. 15. 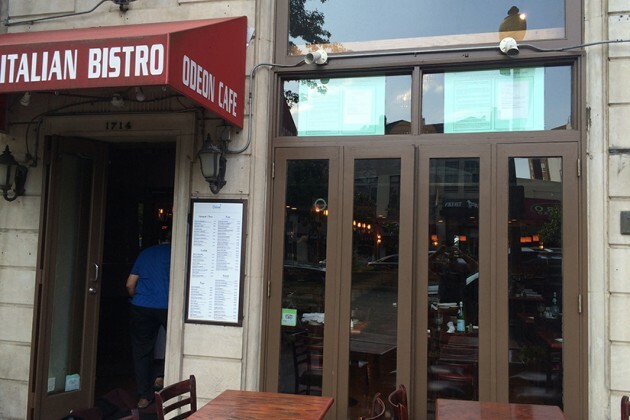 Italian restaurant Odeon Cafe (1714 Connecticut Ave. NW) is changing its name and its menu. 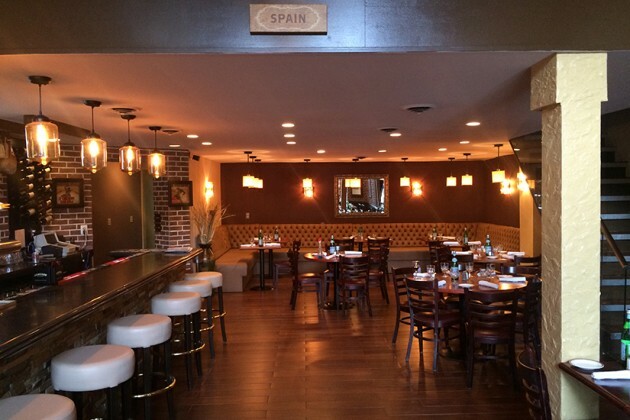 Odeon’s general manager, Ben Triano, says the restaurant will become Madrid, a Spanish eatery with tapas, paella and a sangria bar, after the Labor Day holiday. Last night, the eatery unveiled a portion of its new menu during a tasting party. 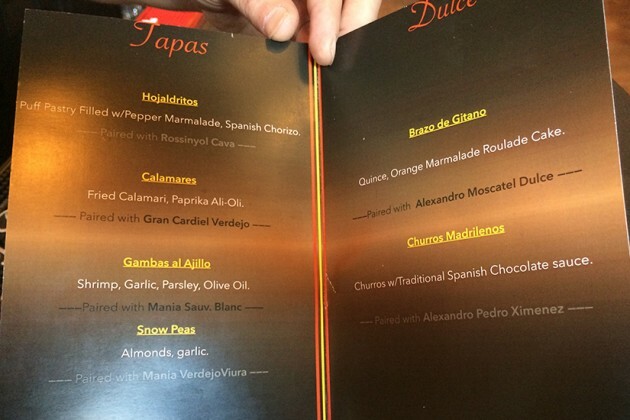 The menu — which Triano stresses is just a taste of things to come — included fried calamari and paprika aioli, puff pastries stuffed with pepper marmalade and chorizo and a smattering of Spanish wines. Triano says that the restaurant will be closed during the second week of September to train staffers, switch up the menu and finalize the interior renovations. 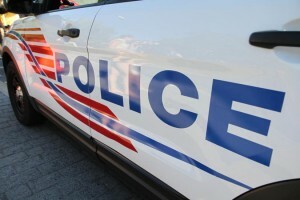 Two thieves robbed a man at gunpoint in Petworth earlier this morning, say D.C. Police. Police say two robbers held a man at gunpoint and stole his bike near the intersection of 14th and Upshur streets NW around 9:13 a.m. today. The alleged thieves were last seen turning right on 13th Street NW, say police.